Publish your flipbooks so that only invited people can access them. We have great news for our Business and Enterprise users! Now you can share your flipbooks with only a few selected people, and no one else will have access to view them. 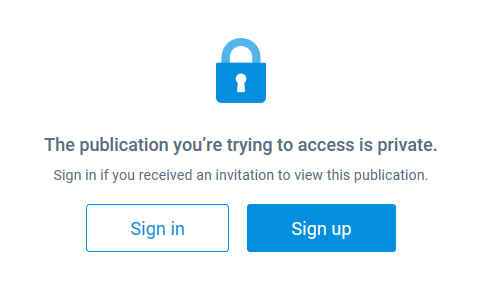 They will need to be logged in with the email address you shared the publication with in order to view it. 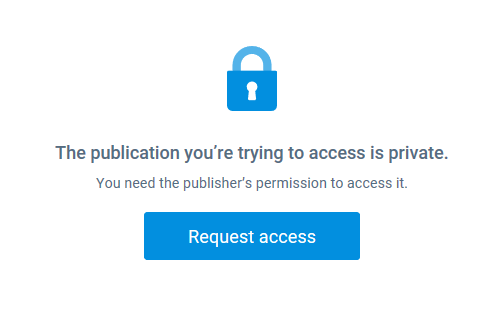 It's the most advanced and secure way to keep your publications private. Keep reading to see how to use this great feature. 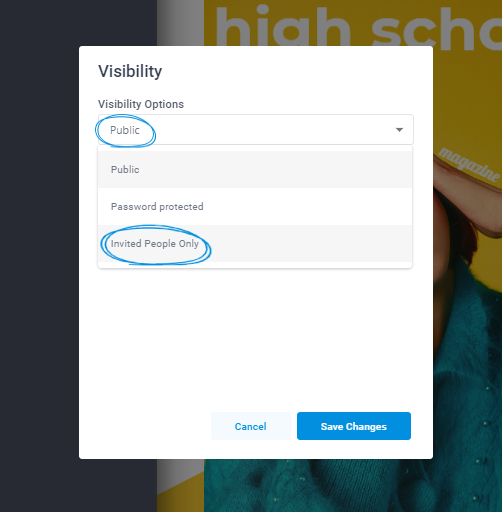 In the Publish section of our editor, click on the Change button in the tab above the Publish now button and an overlay will open. In the overlay, click on the Public tab to open the drop-down menu where you will have to select Invited People Only. 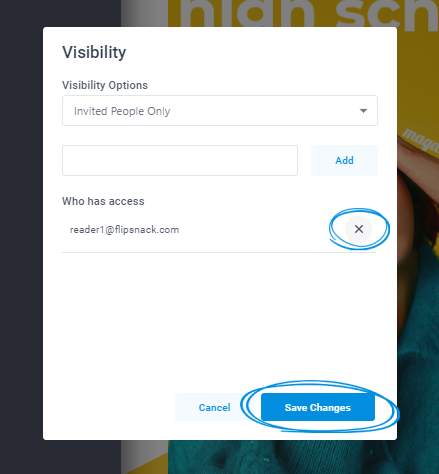 Now that the drop-down menu is gone, add the email of the person you wish to share the flipbook with, click on the Add button, then Save Changes and publish as usual. The recipient will receive an email with a link to open the flipbook. Important: The person you share the flipbook with must be logged in on Flipsnack to be able to view your work. If they are Flipsnack users they will need to sign in. If they're not signed in, they will be instructed on how to create an account. 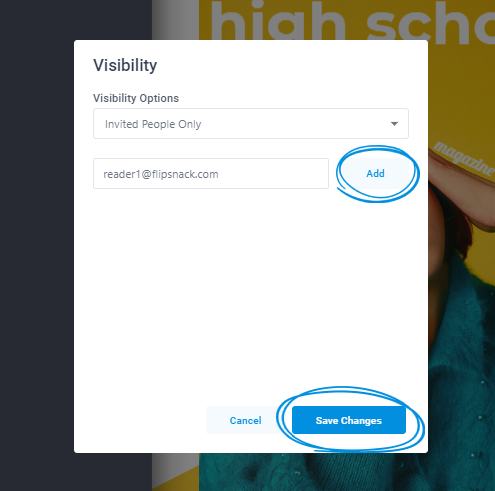 When someone without access to the flipbook opens the link, they will be able to send a request to view it which you will receive via email on the email address associated to your Flipsnack account. After you receive the request via email, simply click on Grant access. 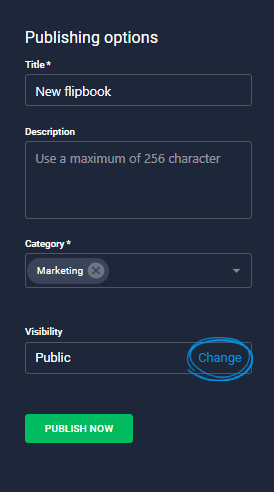 A new tab will open with the Visibility overlay and the email of the person who requested the access will be added to the list automatically. All you have to do is click on the Save changes button. If you wish to remove an email from the list, simply follow the steps above and click on the X button next to the email then Save Changes.